Pep Guardiola said Manchester City must stay in the habit of playing in finals after reaching the EFL Cup decider. 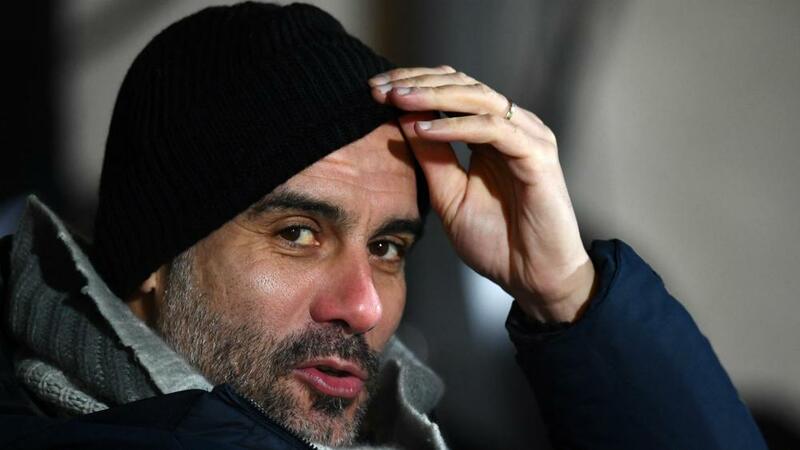 Premier League champions City coasted through to the final following Wednesday's 1-0 victory at Burton Albion, which completed a 10-0 rout on aggregate. City – second in the Premier League and preparing for the Champions League last 16 – will look to claim back-to-back EFL Cup titles when they face the winners of Chelsea and Tottenham at Wembley. After Sergio Aguero capped off the one-sided semi-final tie midweek, City manager Guardiola told reporters: "We enjoy the moment because we are in a final. We know in Wembley, as we lived last season, it's quite special. It's nice to play a final in Wembley. "[We must] protect the habit – the habit of getting into the final. Of course going to try to win it but it will not be easy because Tottenham and Chelsea are incredible teams like Arsenal was last season but we are going to try. "Everybody wants to play, that is a good signal. Why should we not try to do it well and arrive at the final? We've made back-to-back finals in this competition. People say: 'No, the club, this team, they lack consistency.' That's completely the opposite. "I think we showed that when we arrive in the final, and in this competition next season if we are in final again it's because every game is important." Kevin De Bruyne and Benjamin Mendy were handed crucial minutes in the trip to Burton Albion as Guardiola named an XI filled with experience and youth. City star De Bruyne played 63 minutes before he was replaced by full-back Mendy, who made his return following a knee injury. "It was good [for Mendy]. I spoke with him after the game and he said he had no pain, a little bit tired but no pain in the knee and that's important. And we saw in the few minutes he arrived three or four times at the by-line, getting in the crosses and he's a special talent. Hopefully he can step-by-step get minutes and he can help us in the last part of the season."